The wraps of brand new 2018 Hyundai Verna have taken off in Toronto on 16th February. This flamboyant car gave its first appearance in Canadian International Auto Show. The 2018 Verna edition can be called a classy, stylish and more economical avatar of the existing Hyundai. The South Korean brand has once again brought out a car in subcompact sedan category which would target private car owners who are looking for a pleasant drive at an affordable price bracket. The car is loaded with improved and better version of existing features. Let’s look at top 5 things we know about 2018 Hyundai Verna. After the trailer video of 2018 Hyundai Verna, there was so much excitement in the automobile world. 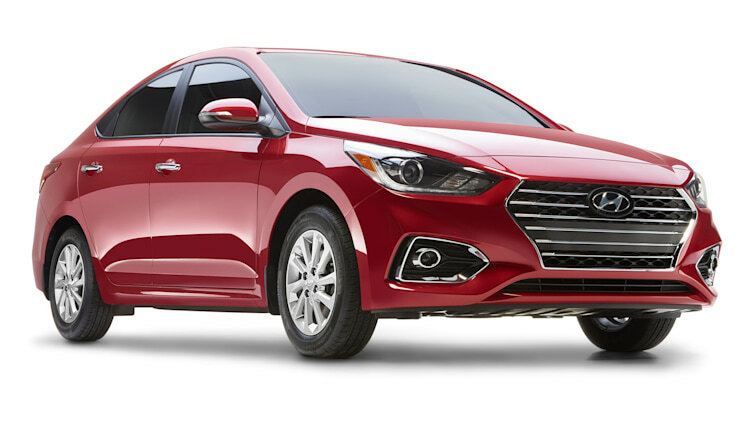 Everyone was talking about this improved version of the existing Verna. Finally, all this chattering came to an end when the wrap was lift off in Toronto. This car certainly succeeded to impress the global buyers. In India, the car can be expected to land by mid-2018. 2018 Verna has a design which is quite elegant and stylish. The grille and headlight are among the few features which are quite similar to the existing Hyundai Verna otherwise all the features are upgraded and enhanced. Still, there are some features which are added to its headlight, that is the LED daytime running lights which are added to give it a flamboyant effect. Also small and round fog lights are added on either side of the chrome grille to improve the front look of the car. With all these new features, the front end and sideline resemble those of Hyundai Elantra GT which was also launched recently. Along with the front, there are many alterations in the back side of the car too. The most noticeable among them is the newly designed tail light which is sharper than those of the existing Hyundai Verna. Overall, the 2018 edition of Hyundai Verna is 0.6 inches longer and 1.14 inches wider than the Verna we see on roads right now. Not only the design, the engine is also provided with essential updates in this new edition. The engine of this car is made much more powerful and economical. This newly designed car has an improvised engine which is a 1.6-liter four-cylinder engine. This engine will help this new Verna to deliver 132 hp power and 119 lb-ft of torque which is almost 5% higher than the current Verna. With this more powerful engine, the new Verna is expected to be a little quicker than its existing edition. But after all these new updates, the economical aspect of the car will not get affected. According to Hyundai, it will be 7% more economical than the existing variant. Hyundai company is no more in the mood to give its competitor any chance of criticism that’s why Hyundai has given some of the best features in the interior part of this car. The dashboard is re-equipped with 7-inch touch screen which supports both Apple CarPlay and Android Auto. This will consist of voice-controlled search capabilities, dual USB, auxiliary input jacks and some other important modern features. Safety is also given a good attention from the brand as its front airbags are improved. With this, 2018 Hyundai Verna also features Autonomous Emergency Braking and a rear view camera which are essential features from the safety point of view. The chassis and better front crumple zone are also updated in 2018 edition of Hyundai Verna. A five-door variant of this brand new car will be available from early 2018 in Canada. The prices would be affordable for sure but the precise numbers are yet to come out. For the Indian market, the price tag should remain around the 8-12 lakh bracket. The 2018 Verna will also be available in both a 6-speed manual and automatic transmission. Hyundai is always expected to come up with some economical and nice cars. These cars are known for their good value for money aspect. So, the upcoming sedan is also not an exception in this regard. This B-Segment sedan is improvised by Hyundai which provide an impressive option in subcompact sedan category. Let’s see how the new version of Hyundai Verna will take on the existing competitors like Honda City, Maruti-Suzuki Ciaz, Volkswagen Vento, Skoda Rapid, and Fiat Linea.